Perfect candidates are rare. So rare, in fact, that they’re known as “purple squirrels”. These purple squirrels are the ideal hire. They have the right skill set, experience, and education. They live nearby and they’ll accept the pay you’re offering. Who wouldn’t want to hire them? The trouble comes in when you can’t find a purple squirrel. Too many organizations wait for this ideal candidate to surface. Sometimes this comes at the expense of the organization itself. Positions remain unfilled entirely, instead of filled with a 90% accurate candidate or even a temporary candidate. It’s a strategy that can backfire at great cost to the organization. HR professionals know that open positions cost money. There’s cost to recruiting: advertising costs, recruiter time, and time spent conducting interviews and background checks. It’s one reason employers hate to see employees leave. The expense of hiring a new employee is daunting. When an employer refuses to hire anyone but the perfect candidate, all the time, money and effort spent selecting and interviewing other candidates is wasted. As time goes on and more and more candidates are rejected for one reason or another, costs continue to rise. Each rejected candidate required time to source, interview and vet…only to be rejected for not being a perfect match. In these situations, it’s not at all unusual for positions to remain open for months as employers wait for the purple squirrel to run across their path. The unfortunate part of this inaction is that costs don’t stop. They keep going up. The opportunity costs of waiting for the ideal candidate pose an even more serious problem. Executive search firms in Milwaukee have a large pool of candidates to draw from, but they can’t utilize that resource to their best ability if they’re being forced to search for the elusive perfect candidate. In other words, they won’t have time to fill any of the client’s other open positions. That just creates a logjam on the recruiter’s end and keeps pushing costs up on the employer’s end. Employers lose revenue every time a job opens up – or remains unfilled – and the longer the job is open, the more revenues are lost. In many situations, the loss of a team member means others have to pick up the slack. For a short time this is accepted, but as time drags on and weeks turn into months, the extra workload becomes a strain on the team and morale suffers. Individual contributions may suffer if employees are stretched too thin and organizations end up with none of the team’s work being completed to satisfaction. Again, the longer the position is unfilled, the worse the situation gets. As mentioned above, there are significant costs to replacing an employee. It’s in the company’s best financial and organizational interests to retain valuable employees. The fewer employees who leave, the lower the costs spent on recruitment, training and time spent getting the new hires up to speed. Keep in mind that even the perfect candidate could go through the entire process, accept the offer, give it a try for a few weeks or months and then leave for another company. Recruiting is different from hiring. The hiring process is systematic. There’s an opening, you post a job description, select candidates to interview, conduct the interviews, then decide if you’ll move forward in the process. It’s very focused and labor-intensive. Recruitment, on the other hand, relies more on developing personal relationships with individuals in your industry. You may not have an opening for them right now, but down the road, if something opens up, you will already know a great deal about the person and may find they are the purple squirrel for the job. Executive search firms in Milwaukee routinely do this to build their talent pool. Build your network constantly and you can cut down on the length of time it takes to fill an open position. Very few employers can effectively make the case that they need the perfect candidate. In most situations, anyone who has the right skill set, experience and credentials will be able to excel, particularly if they fit in with the organizational culture. It’s worthwhile to take a step back and reassess your priorities. Why does it have to be the perfect candidate? Does it? Or would a less than perfect but still excellent candidate suffice? You’ll be better served to make the offer to the less ideal candidate than wait around for the purple squirrel. 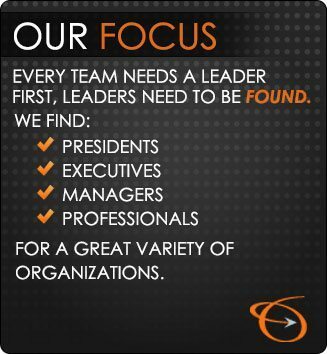 If you need help finding qualified candidates, contact the Lawler Group. We can work with your hiring manager to find candidates that meet your requirements, and can provide you with the expertise you need.